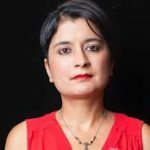 Shami Chakrabarti, now Baronness Chakrabarti, is a Labour peer and Shadow Attorney General for England and Wales. Having trained as a barrister, she was director of Liberty from 2003 until 2016. She has written On Liberty (2014), an impassioned defence of human rights and Of Women (2017) about women and equality.